Our Baha’i Community in Columbia is made up of people from a variety of different backgrounds. We represent different races and multiple nationalities, and come from a diverse set of socio-economic experiences. Some of us are just getting a foothold in our careers. Some of us are in our mid-lives and are raising children, and some of us are enjoying an active and engaged retirement. What we all have in common is that we believe in Baha’u’llah, that the Baha’i writings and practices have the power to transform individual lives, and that the Baha’i teachings applied have the ability to revitalize and reshape our families and community. 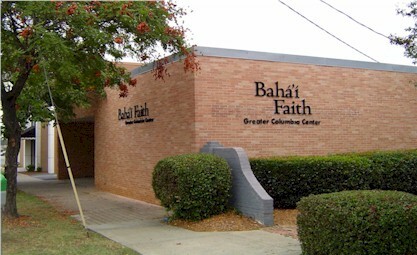 Introductory classes are offered at the Greater Columbia Baha’i Center to inform those interested about the basics of our faith, the central figures of the religion, its social teachings, and any of other topics that may be of interest to your. Regular devotional meetings and study circles are held at the Center and in the homes of many local Bahá’í families. We also organize regular classes for children and teens promoting spiritual growth, social awareness, and moral decision making. Contact us at The Greater Columbia Bahá’í Center and we can help find a group and setting that fits you best. Devotional gatherings are regularly scheduled to share a spirit of joy, love and fellowship through prayer and meditation. Readings are taken from the Baha’i writings, in addition to scriptures from other religious traditions. These gatherings often offer prayers for healing or assistance to those in need and may include musical selections from a diverse variety of cultures. No established ritual exists and no solicitation of funds is permitted. Light refreshments may often served. Study circles are regular gatherings of people interested in an in-depth and systematic study of spiritual themes based on the Bahá’í­ Writings. The purpose of this study is to gain a deeper understanding of the Holy Word, begin to comprehend the meanings and then find ways to apply the Word to our lives through spiritual transformation and service to humanity. The frequency and duration of each study circle are set by the group, and a facilitator serves to maintain the focus and pace. Every participant in the group also makes a commitment to action or service. The emphasis of children’s classes is on imparting to young people the ability to learn, reflect, think about, and apply spiritual principals to their lives and society. Great attention is given to the development of spiritual qualities and to those beliefs and behaviors that constitute the essential attributes of a spiritual being. Junior youth classes are designed for young people, approximately 12 to 15 years of age, and focus on nurturing virtues, step-by-step problem-solving, and cultivating social awareness. Led by trained facilitators called “animators,” groups typically meet once a week, where participants may engage in organizing service projects, playing games, discussing issues important to them, and studying literature.